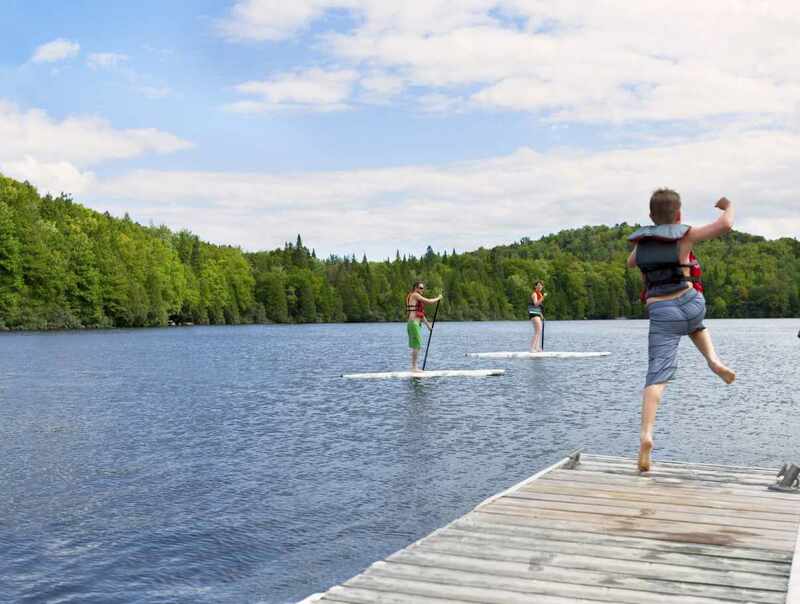 Enjoy your favourite boating activities on Lac Saint-Joseph, a big lake. Canoes, kayaks, pedal boats, rabaskas and S.U.P. board are available for rent. Free for cabin and vacation package guests (for 2 h at a time).